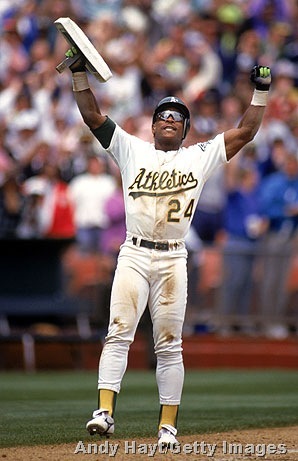 Now IÃ¢â‚¬â„¢m not about to tell you brand new Hall of Famer Rickey Henderson wasnÃ¢â‚¬â„¢t a great player. Of course he was. And I loved him growing up Ã¢â‚¬â€œ who didnÃ¢â‚¬â„¢t? He was a swashbuckling stolen base machine who referred to himself in the third person. That said, if anyone is a better testament to selfishness, IÃ¢â‚¬â„¢d like to meet him. Rickey made it an art form. Now, before any fans of the 45 teams Rickey played for jump down my throat, IÃ¢â‚¬â„¢ll point out that in terms of sheer talent, heÃ¢â‚¬â„¢s up there with anyone. I feel like his talent might be overlooked just because he wasnÃ¢â‚¬â„¢t a prodigious slugger in an era where that was beginning to come into vogue. 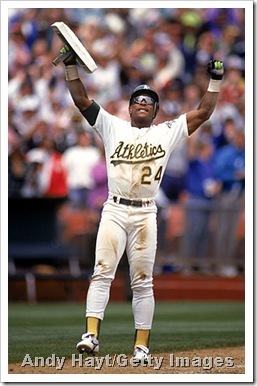 (Though his 297 home runs are nothing to sneeze at) Rickey had an outstanding eye at the plate. And you canÃ¢â‚¬â„¢t discount someone who had 130 steals in a season and 1,406 in his career. Most impressively, as Joe Posnanski of SI correctly pointed out, Rickey not only was the all-time leader in runs scored Ã¢â‚¬â€œ the entire point of the sport Ã¢â‚¬â€œ but also in unintentional walks, demonstrating his remarkable ability to get on base and make something happen when he did. But you also canÃ¢â‚¬â„¢t discount that in his 130-steal season, Rickey was caught an astounding 42 times Ã¢â‚¬â€œ so his percentage in 172 attempts was 76%. ThatÃ¢â‚¬â„¢s not terrible, but he still ran himself off the bases 42 times. Last yearÃ¢â‚¬â„¢s MLB steals leader, the immortal Willy Taveras, stole 68 bases Ã¢â‚¬â€œ hardly 130 Ã¢â‚¬â€œ but he was caught just 7 times (90%).